Congratulations are in order for Immanuel Baptist Church of Menomonie, WI! 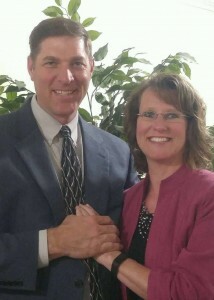 Today Pastor Mike Van Zee of Newport, TN, has formally accepted the position of the church’s senior pastor. The position has been open since Pastor Larry Borner resigned in May 2018. Assistant Pastor Mitch Nelson has filled the position in the interim while the church’s pulpit committee was tendering the resumes of prospective candidates. Pastor Van Zee and his wife Lois visited Immanuel Baptist in the last week of October so that he could present himself as a candidate for the senior pastor position and so that they could meet the church’s members personally. After his visit, Immanuel’s members voted in favor of offering Pastor Van Zee the position. Over the past two weeks, Pastor Van Zee has been carefully praying over whether he should accept. God has obviously made His will known to Pastor Van Zee, since the decision has been made and announced to the church mere minutes ago. Pastor Nelson has officially resigned as the church’s interim pastor.